How Can I Work Smart? Netflix sign in is always a problem when it is not on their regular website version of the service. The regular one can be easily signed in to using the URL https://www.netflix.com/au/login which can be done once you have an account with them. It usually becomes a problem for some people if they want to sign in to Netflix through their mobile app, smart TVs, Nintendo players, and other home theatre players. These problems are either caused by people not knowing where to get Netflix, how to go about the configuration when they see it, network related issues and the likes. In a bit, these issues will get trashed out and you can easily overcome the Netflix sign in issue. Each device has its own unique feature and as such, the processes of fixing Netflix sign in issue on them will be discussed individually and clearly in a way that anyone can easily read and apply. 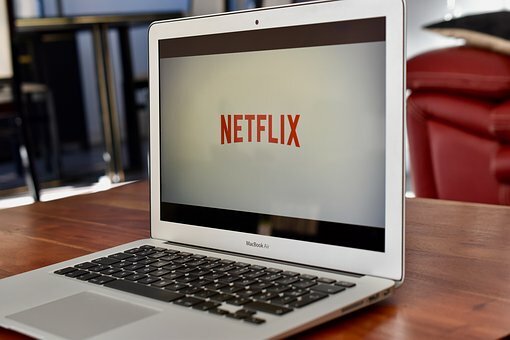 It is important to note that for any of the Netflix sign-in methods discussed, an internet connection is required. A strong one at that. The instant queue will be automatically displayed on your system if the activation is complete. If you completed the process, voila! You have successfully signed in to Netflix on your Nintendo. If your Nintendo does not fall into the afore-mentioned ones, do well to buy a new one or just make do with your system or Netflix mobile app. Netflix in their wisdom developed mobile apps for their users to increase the user experience on both Android and tablet phones. The mobile app can be downloaded from the app store. It supports Android versions 2.3 and above. Once downloaded, Netflix can be signed in to from it. Open the Google play store and search for Netflix. Once it opens, click on install and let the app get installed on your device. When it is done, launch the Netflix app and enter the details with which you registered your account. You can also register an account from the mobile application. These two have something in common although there are different variations that can be seen. On either of them, you can see so many options and I will discuss the several available options in this section. Note: If you are not a registered member of Netflix, you can set up your membership online through their website or the link mentioned above. Type in your Netflix email address and password and then select sign in. Congratulations! You have successfully solved the Netflix sign in issue. Select the Netflix app icon from the Home screen of your Smart Tv. If the activation code did not show up on your own, you will then have to enter the email address and password associated with your account and voila! You have solved the Netflix sign in issue on your Samsung Tv or Blu-ray player. Select Netflix from the page that shows. After that, a code will appear with which you need to activate on the Netflix activation page https://www.netflix.com/activate After this, you have successfully signed in to Netflix and can enjoy all the shows provided you have an active subscription. Select [email protected] option on the screen and choose Netflix. Select sign in. If your own device does not show sign in option, then it will show the question “Are you a member of Netflix?” You are to choose “yes” if you have an account with Netflix. If you do not have an account, then you can head over to https://www.netflix.com to create an account and then continue the step. A code will appear if you chose “Yes” and you are required to visit Netflix’s activation page https://www.netflix.com/activate on your PC. Select the internet option from your home screen. The “are you a member of Netflix” question will appear if you do not see “Sign In” and you will be required to select “Yes” if you already have a Netflix account. Enter the email address and password you used to create your Netflix account and then select continue. Viola again! You have Netflix sign in completed.